Erica S. Haymer IS A TRIAL ATTORNEY with experience in different types of civil litigation. She has litigated many cases and has a very successful track record in obtaining favorable outcomes for her clients. A native of Yazoo County, Mississippi, Erica received her Bachelor of Arts in Political Science and Master of Science in Criminal Justice from Mississippi Valley State University. She received her law degree from Western Michigan University Thomas M. Cooley School of Law in Lansing, Michigan. Upon graduation from law school, Erica joined Bryant Clark Law, PLLC, a general practice law firm with a focus on personal injury, real estate, family law, and county & municipal law. 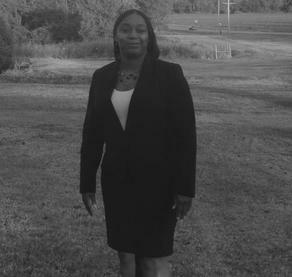 In October 2016, Erica was appointed to the Bench as Municipal Court Judge of Cruger, Mississippi. Erica has experience in personal injury, expungement, family law and civil litigation. She has represented clients in automobile and car accidents, divorce, name change, custody and visitation, and wills. Erica has served as Special Prosecutor in the Holmes County Justice Court. Erica continues to fight zealously for her clients, as well as the citizens of Cruger, Mississippi.